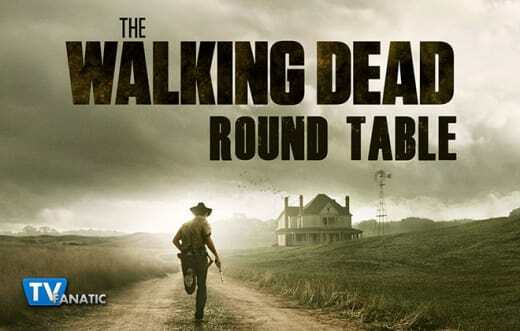 Sunday night's return of The Walking Dead Season 5 had us saying goodbye to Tyreese and the state of Georgia. At least for that episode. Now the group has to decide whether or not they should stay or go...to Washington, to wherever. Anywhere but there. Join Eric Nordhoff of the Walker Stalker Con, Sean McKenna, Whitney Evans, Paul Dailly, and Miranda Wicker as they bid Tyreese farewell and discuss whether the group should stay or go. Be sure to sound off in the comments below! What was your favorite quote or scene from The Walking Dead Season 5 Episode 9? Eric: Seeing Tyreese wrestle with his decisions from the past. Seeing him come face to face with his accusers and his friends. It was awesome to have The Governor, Lizzie, Mika, Bob and Martin back. Well played all the way around. The Terrance Malick-style of filmmaking was also well done. Sean: I really liked that scene of Rick and the others driving away before having to stop and then pull Tyreese out of the vehicle. It was such a tragic moment to see the survivors standing around him with nothing they could do. Plus, with the added music and shot from far away really added to the emotional scene. It was a great visual moment that didn't need any words to explain anything. Whitney: "Turn it off." Even though I was sobbing, I loved that moment in the truck, as Tyreese looked around to his fallen friends and prepared himself to let go. Paul: I also liked the dying moments of Tyreese. It was so well put together. The best part of it was him looking up at the sun as he faded away. It was getting dimmer. I can't believe he's actually gone. Miranda: I loved Michonne's pleas that they find a place and settle down. She's a woman of few words, so when she chooses to speak, it's worth giving her a listen. They've been wandering aimlessly for so long that it feels like time to let them settle down, rest, and regroup. Better hallucinated appearance: Beth or the Governor? Eric: Beth. I wanted to go with her. Sean: I thought it was cool to see the Governor again, but Beth for sure. She finally got to sing one last song on the show. Whitney: Shockingly I kind of enjoyed the Governor hallucination. Out of all the familiar faces that popped up, he was the one that genuinely surprised me. Paul: I'm not usually a fan of these sub plots on any show, they just seek like filler to me, but if I had to choose I'd go with Beth. It was good to see her again after being so upset about losing her. Now the mourning returns. Miranda: Beth. Or the Governor. I can't really choose. I had a total love-hate for the Governor, so getting to see him one more time was fun. But Beth. Ugh! Seeing her just made me remember that we're not going to be seeing her anymore. Eric: Tyreese - I’m sorry I called you soft all of these years I’ve known you. You truly were a good man - trying to do right in this very wrong world. I see that now and I’m inspired to live like you did, no matter what the cost. Sean: See ya, Tyreese, protector of babies. You fought to live and hold onto your humanity in a world that had dramatically changed since the zombie apocalypse began. Hopefully, you can be with your girlfriend again. RIP, Tyreese. Whitney: Tyreese, you were truly a decent man and your compassion and kind nature will be missed very dearly. Take care of the girls in heaven. Miranda: Tyreese, you were a gentle giant, a protector of all those smaller than you. I'm still not sure how you made it out of a hoard of walkers with a hammer all that time ago, but hey, you did, and in living, you became a character I'm really going to miss. Will the group actually make it to Washington? Eric: I hope so, but more than likely they will get stuck somewhere in the burbs. Sean: I feel like it will get dragged out, but I'm really hoping they do. I'd love to get a change of focus and scenery for the show. To D.C.! Whitney: I loved Michonne's speech and her conviction when she talked about a need for them to have another day with a chance. It would be cool if they got to Washington and were able to make it work for awhile. I'm with Sean here, a change of scenery would be nice. Paul: I hope so. I'm honestly on my last nerve with the show after the premiere. Let's hope it isn't dragged out until the season finale. Miranda: I can't decide if I want them to go to Washington or not. I like the idea of seeing them mix and mingle with another group of survivors, but meeting more survivors inevitably means saying goodbye to some of our favorites and I'm too attached to most of them to lose anyone else right now. 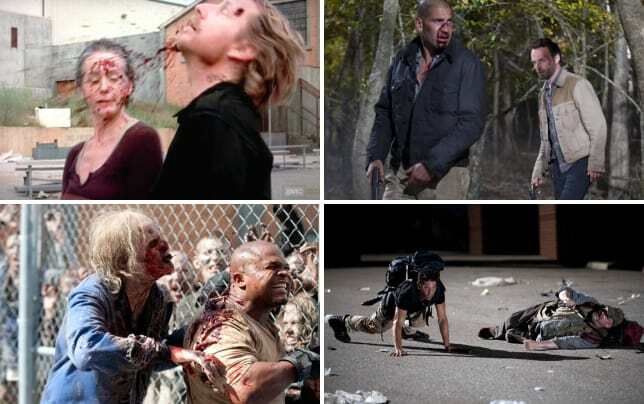 With cast turnover happening pretty rapidly, who will be the next TWD character to bite the proverbial dust? Eric: I don’t think we will see another character death this season. We will for sure be introduced to many new characters, however. I’m excited about that. The next current cast member to die, I predict will be Glenn or Maggie. That storyline hasn’t really gone anywhere since the beginning of The Walking Dead Season 4. Sean: Abraham's girlfriend, Rosita. 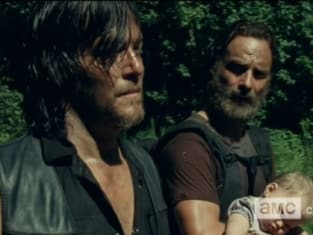 She hasn't had plenty of time to shine as a character, so I can totally see us getting an episode with her having some major focus only to have a walker jump out and bite her. I feel like we won't get another death till the end of the season... but you never know on this show! Whitney: I hope we don't see another death for awhile. These last two have been pretty devastating. When the time does come for someone else to go, I'm thinking it may be Tara. She's come a long way from her Governor days but I could see here making a grand exit before the season is over. Paul: I'll go with Maggie. They sure like to shock us and this one would be a shocker. Miranda: I think it'll be a while, but my money's on Noah. He just doesn't seem to have enough substance to warrant him being kept around for very long. We'll learn the group's direction when The Walking Dead Season 5 Episode 10 airs on Sunday night at 9pm, but you can watch The Walking Dead online any time at TV Fanatic.